Why would printed circuit board (PCB) engineers turn a rigid board into a flex circuit? Up until a decade ago, they wouldn’t. Even if product schematics called for a flexible PCB design, engineers of yesteryear would usually just connect two or three small rigid boards with cables and approximate the shape of the flex circuit desired. This was a time-consuming, labor-intensive workaround, but there simply was no better way. Fast forward to today and you have flex circuits everywhere. They’re in smartphones, digital cameras, wearable tech devices, and more. Will flex circuits replace rigid PCBs for good in the near future? There are many reasons why a manufacturer might prefer a flex circuit. Although they are not common in large, bulky products like desktop computers and flat-screen televisions, they are an important space-saving element in a broad variety of compact electronics. When manufacturers need to optimize space in a limited form factor, flex circuits offer solutions that rigid boards simply can’t. Whereas building a flexible circuit board was a prohibitively time- and labor-intensive process ten years ago, pricing has since gone down while reliability has increased dramatically, leading to a proliferation of products based on flex circuit designs. Also, manufacturers can combine rigid board designs with flexible circuits to create rigid-flex board designs. But if flex circuits can do everything rigid boards can while saving space and maintaining high standards of reliability, you might wonder anyone would want to manufacture rigid PCBs anymore. Why Use a Rigid PCB Instead of a Flex Circuit? Price is an important factor. 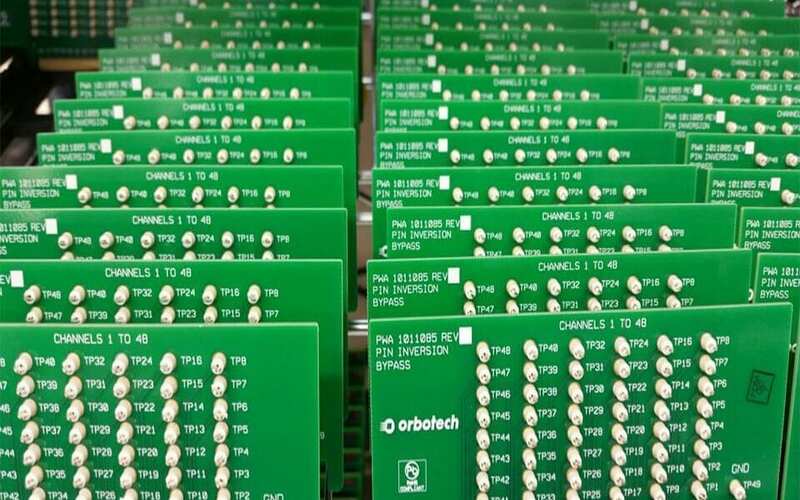 Although the cost of designing, prototyping, and manufacturing flexible circuits is lower than ever, manufacturers still expect to pay more than they would for a rigid PCB with a similar configuration. As flex circuit prices have gone down, so too have rigid PCB prices, leading to the situation where if a rigid PCB can get the job done, it usually will. For high-end electronics product manufacturers, however, the difference in price often turns out to be a negligible difference. These manufacturers will prefer the freedom of fitting their components into luxuriously shaped form factors without having to deal with rigid board dimensions. Two other key factors include PCB assembly equipment and technician skill. Not all PCB assembly companies are qualified to build reliable flex circuits affordably. Assembly firms whose clients still exclusively ask for rigid boards would have had no incentive to incorporate flexible PCB manufacturing steps into their assembly process. In this case, product manufacturers may find that the difference in price is huge – not because the actual flex circuit assembly process is much more expensive, but because the assembly company itself is unprepared and ill-equipped to handle the job. Green Circuits has years of experience assembling flex circuits and rigid-flex circuit boards. Speak to one of our expert PCB assembly engineers about your product design idea.